Oranco Club Board Member Election Nominations are now open. If you are interested in a Board Member position and want to know more about what is required, contact any Board Member or attend the next Club Board Meeting on January 10th, 2017. Merry Christmas to one and all! By now everyone should be finished opening Christmas gifts and moving on to the New Year. Hope everyone had a productive 2016 with great hunts and a lot of tournament wins! It has certainly been a good year at Oranco and I hope all of you found the Range to be a good investment for you and your family! Hunter Education continues to be a fluid situation with the big Thanksgiving fire at Raahauge’s. Please keep an eye on the DFW website for more information on sites and shows. The CBH/SAA meetings and Big Game Banquet are coming up in January and will be a great time. Please get on the CBH/SAA website and register for the Banquet on Saturday night. It will be a great meal with lots of opportunities for raffle prizes. Please also plan on attending the CBH/SAA meetings as a guest on Saturday and Sunday. It is a great opportunity to get involved with CBH/SAA and see what your money is doing. We will be discussing all the State Tournaments and electing some new officers as well. Come on out and be a part of the fun!! 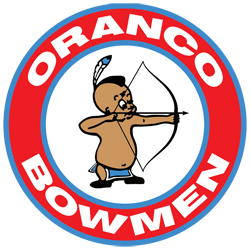 Please get out to the next few Oranco Club Meetings as we will be electing new Board Members and getting ready for 2017. See the website for our Tournament Schedule for the year. We can always use constructive input and look forward to more participation. I always try to keep in mind that Clubs tend to run on about 10% participation from the Members. That being said, please plan on getting out to the Range to do a couple of Work Parties in 2017. The fall is always a bad time for me as Ross runs my weekends from October to the New Year. It seems the less I come out to the range, the better attended the Work Parties are! If this is the case, then I promise to stay away in an effort to get more of you guys and gals involved! Our Work Parties are very easy and really don’t require any particular skills. We have just about every tool that anyone would need so it’s easier than you can imagine. Just come out and help! We will be having a Work Party on January 7th in preparation for the Stump & Varmint Shoot on January 8th. The Range is looking really good right now. Thanks to everyone that maintains a target. Keep in mind that the rain will really have everything growing. Let’s stay on top of the weeds and the overgrowth out on the Mountain Range. Thanks to all the great Members here at Oranco! I appreciate all that you do for us. All the Best for a great New Year! Or you can put them in the mail box at the front gate or drop them off at the Club House. I want everyone to have a Happy Holiday Season and I wish you all Good Luck in the New Year, 2017. Scalps and Skins are coming up soon. I will be starting the shoots a little earlier this year to help with the withdrawals of hunting season being over. So keep checking the website and the Newsletter for the shoot dates. I am looking to put out 24 targets at each shoot. We will also have some fun bonus shots for those of you who dare to shoot through the steel. If you have any ideas or thoughts I would still love to hear about them. Please call or email with me your ideas, likes, and dislikes. For the last 2 shoots of 2016 I made new scorecards, which we will continue to use this year. Please make sure you fill out your shooting class and all of the information that is asked on the card. This process will help me to separate our Top Shooters for each class. If you didn't have it filled out in the past, it was discarded as incomplete. I appreciate all the support that most of you have given and look forward to (6) challenging, but fun shoots, in the near future. I hope everyone had a fabulous Christmas and is poised to have an even better 2017. May this year be your best year yet. We do apologize for any confusion that may have been caused in relation to the Stump & Varmint Shoot. We had a couple of broadcasts that went out to first reschedule the shoot and then to notify Members that the shoot was back on. It is our sincere intention to try to provide our Members with the best shoot conditions possible. Unfortunately, we haven't figured out how to control the weather yet. Hopefully, everyone was able to make it out and everyone had a great day. Joe wanted to thank the 18 people who came out to help at the December Work Party. He mentioned that not only did we receive a lot of helpers, but that the Members who came out were workers, which allowed us to get a lot accomplished. Joe followed up with the Corp of Engineers, he had to leave a message. The Board is in the process of making final changes to the Club Calendar. Once it is complete we will get it posted onto the Website. As of the Club Meeting, Samantha had only received about 10 CBH Cards from Members. By now, everyone should have a pretty good idea of whether or not she received yours as the Gate Combination changed effective 1/1/2017. The Range Secretary mentioned that the Charity Shoot went well. We had 248 Shooters, which was a record number of shooters for that particular Shoot. We were able to give away a ton of toys. The weather was great and the shoot layout proved to be very good. Joe and David were going to meet to finalize the Club By-Laws so that we can get them posted to the Club Website. It was brought up that most of the Cook Shack workers want to work the main Cook Shack. Cook Shack workers need to be willing to help out at the other Cook Shacks as well. The Club is in the process of getting new target stakes. Joe is working on getting the front gate repaired from the recent hit and run incidents that occurred. 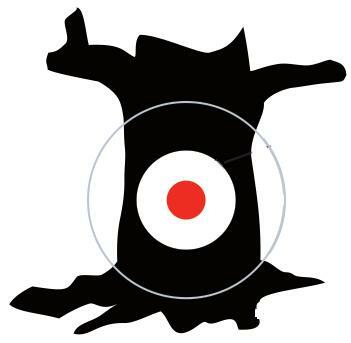 With the Big Game Shoot approaching the Club will be working on getting the large animal 3-D targets repaired and repainted. 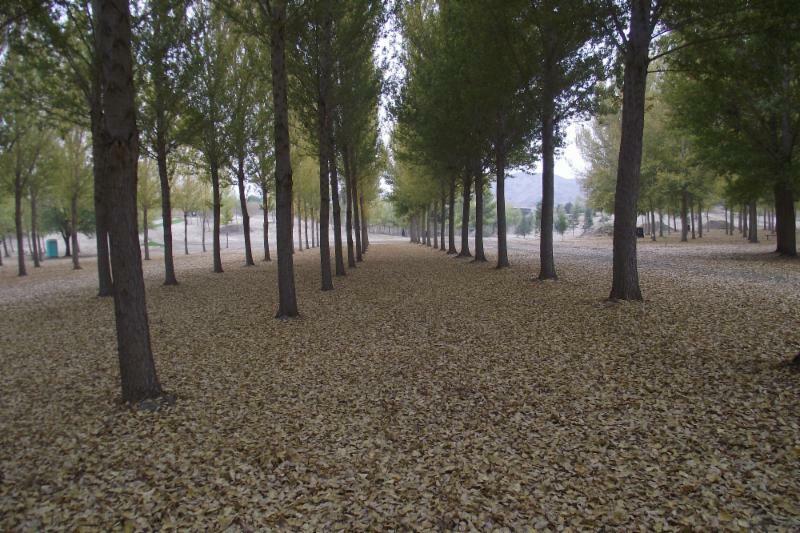 The Club is trying to finalize the order for Carpet Bales. Chriss is working on getting a final accurate count. Chriss also will be working on getting Target Assignments confirmed for 2017. A discussion came up in regards to performing Safety Hunter classes at Oranco while Raahauge's under goes its re-construction process as a result of their recent fire. Board Member nomination are currently underway. The nominations end in January and the Final Vote will take place at the February Club Board Meeting. Newly appointed Board Members will take office on March 1st, 2017. As you can see, there were a lot of topics discussed at last Club Board Meeting. We had quite a few items on the agenda. Some of these issues may be important to you and some may not be. The only way to have your voice heard is to attend a Board Meeting. They are held on the second Tuesday of every month. Please plan on attending the next one. Attending a Board meeting is the quickest way to figure out what is truly going on around the Club. We look forward to seeing you there. Happy New Year! While reasonable care has been taken in the setup of our Range, it is still located in a natural setting. As such it contains hazards over which Oranco Bowmen exercise no control. Therefore, all persons using our Range are cautioned to be constantly aware of and take personal responsibility to avoid or otherwise negotiate these hazards. Members who bring Guests to the Range must ensure they are aware of these hazards before venturing out onto the Range. Rattlesnakes have been found on the Range. Pay attention to where you walk, especially when going off the trails while searching for lost arrows. If you or a Member of your party is bitten, immediately seek medical attention from the nearest Hospital. Some parts of the Range are rugged and may contain deep holes, brush-covered ravines, makeshift bridges, unstable slopes, hillsides and embankments, stinging insects, hazardous animals, and thorny brush. Suitable clothing, such as long pants and footwear that provides good traction and ankle support, are recommended. Again, you must take care where you walk, stick to the groomed and cleared trails as much as possible, remain clear of steep and unstable embankments, and otherwise pay close attention to your immediate surroundings at all times. Membership Card must be visible at all times while on range. 300 FPS Arrow speed MAXIMUM. We have a bow press and scale available. USE AT YOUR OWN RISK. Smoking only in designated areas around Club House and refreshment stands. No alcohol consumption allowed on the range while shooting a tournament. It's OK after the shoot in the assembly area. No glass containers on the range at any time. Gate is to be closed and locked at all times except on Sunday between 8.30 am to 2.00 pm. Remember to close the lock and turn the numbers to hide the combination. Guests are allowed to visit with a Member. Fees will be waived for the first two visit. After those visits, the Guest will be welcome to join the Club or to come on Sundays and pay the $14 fee. Negligence in the use of archery equipment, horseplay and dangerous, rude, or belligerent behavior of a Member, his/her family Member or his/her Guest are not tolerated and are grounds for suspension or expulsion of the Member from the Club. Shoot only at targets set up by the Range Master. For target butts set up as part of the field range, shoot only from designated or otherwise safe positions. Ensure that you shoot from positions that provide an unobstructed shot and a safe backstop. Never shoot when the safety of the shot is in doubt. Notify the Range Captain or another Board Member of the problem immediately. Nock arrows to the bowstring only immediately before drawing to shoot. Never walk the range with a nocked arrow. Always be certain that there are no other persons within a 30° arc centered on the target, of any shot being considered. Never shoot into the brush where the arrow may travel into an area that cannot be seen before the shot is taken. Always be sure to take into account the possibility of an arrow being deflected by brush or branches, and do not take any shot when such a deflection could pose a hazard to other archers. Members are responsible for the safety of their equipment, as well as that of their children and Guests, prior to shooting. Never attempt to shoot a cracked or otherwise defective arrow or an arrow that is too short for your draw length. Arrows may not be carried loose. Each archer must use a quiver to store arrows while on the range. Before crossing the firing line at the practice range to pull arrows, ensure the range is clear, all archers have ceased shooting and acknowledge the range is clear. Bows should be hung up before retrieving arrows from bales on the practice range. 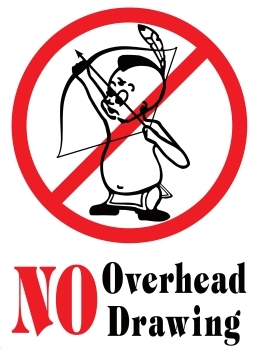 Broadhead arrows are not to be shot at any targets on the range, except in the designated Broadhead pit. The use of crossbows, firearms, and air guns on the range is at all times prohibited. When behind a target, searching for arrows, lean your bow across the target, or have one of your group stand in front of the target to alert the archers approaching the shooting position as to your presence. Walk the range in the proper direction only to avoid crossing the path of arrows shot from the opposite direction. This applies to all areas of the range. The range is for the practice of archery only. Hiking and sightseeing on the range during normal shooting times are not permitted since arrow over flight of some of the field targets may land in areas that cannot be directly viewed from shooting stakes. Hunting, harming, and/or harassing of wildlife in any way is prohibited. However, adult Members are authorized to take prudent actions to protect themselves and others from potentially dangerous animals. All children are to be closely supervised at all times whether shooting a bow or not. They are to be warned of all hazards described above and are encouraged to remain on established trails at all times. Children who are incapable of understanding range hazards and controlling their own behavior must be directly and closely supervised at all times by a parent or guardian. It is recommended that such children not be taken onto the range. Children are to be discouraged from running on the range. Why Hunt? Hunting Puts You Directly in the Full Circle of Life. Hunting is more than a tradition. It is how we got to where we are today, both as a species and as a civilization. Hunting is essential to being part of the full circle of life. 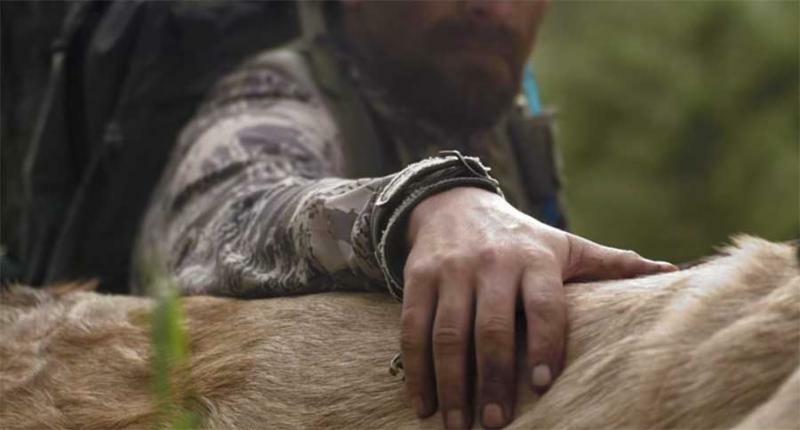 Hunter Jason Matzinger speaks thoughtfully about the ethics and the necessity of hunting in today’s world in “Full Circle”, a short Rocky Mountain Elk Foundation film. He speaks of being a part of the natural system, of his respect and love for the animals he takes. It is a good message. No better way to honor our military veterans than by tagging a beauty of a buck on Veterans Day! 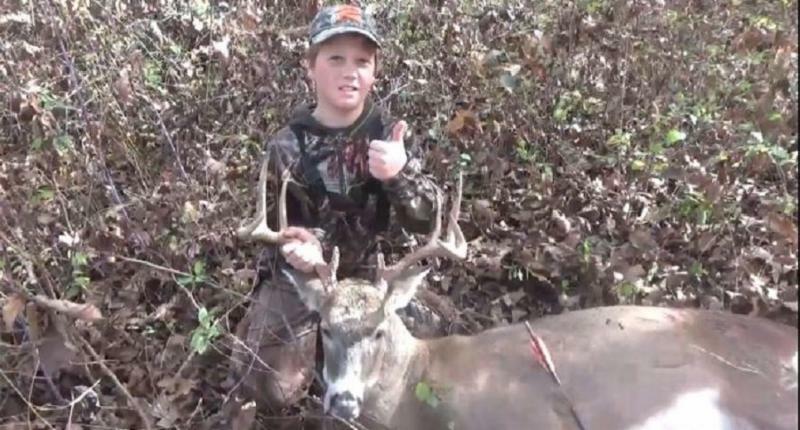 Our youth are the future of hunting. And nothing makes us more proud than to see a youngster out in the field, mastering this cherished pastime while harvesting food for the table. Jett is a prime example of parenting done right. Not to mention, he’s one heck of a good shot.